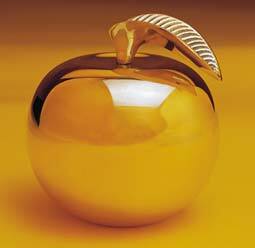 If I remember my Greek mythology correctly, there’s one story that features a race and golden apples. (Ah…here it is.) In that spirit and to celebrate apple season (which is in it’s peak) I thought I’d feature an upcoming race that’s taking place in an orchard the first weekend of October. The 5k road race through the Lakeside Orchards in Manchester, Maine is part of a larger apple festival taking place this coming weekend. In addition to the race, there’s a pancake breakfast, music, parade, craft fair and best of all an apple pie contest. Yay! Pie! Sign up here. This entry was posted on September 28, 2010 at 7:40 am and is filed under Upcoming Races. You can follow any responses to this entry through the RSS 2.0 feed. You can leave a response, or trackback from your own site.